Yep, I’m taking light tops in all shapes, colours and sizes (because it will be hot even if it rains), going very easy on the bottoms (in fact I’ve ultimately decided not to take the black skirt with the pearl details on the sides), letting loose with jewellery (it’s small after all and doesn’t take up much space) and bringing a go-with-everything cardigan – I promise the end results will be reasonably successful. 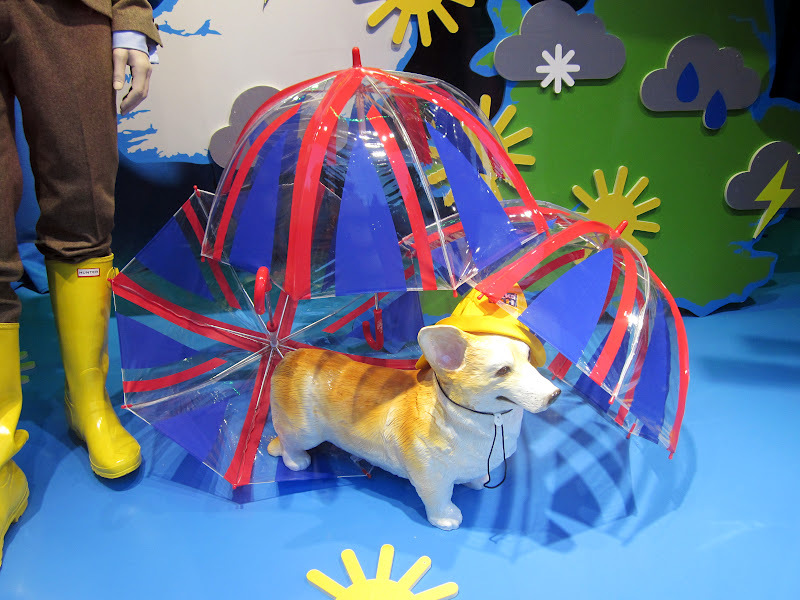 It was only natural that Selfridges’ super British window display would include cute Corgis – these are my favourite in terms of adorableness. 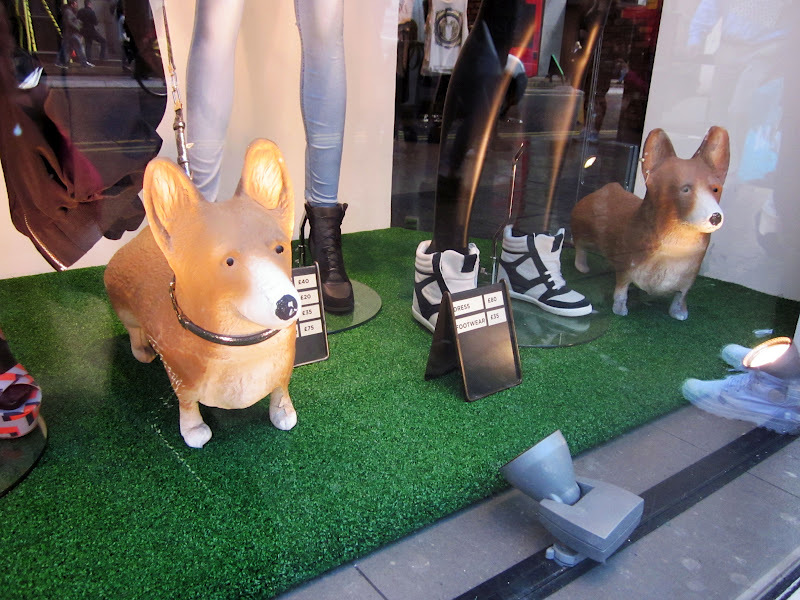 River Island is loving Corgis too, although these are slightly more minimalistic. Ted Baker is quintessentially a very English brand, so it comes as no surprise that their recent window displays are all about Britain – their Corgis might not be 3D but that doesn’t stop them from being loud, proud and super cute. I also spotted 2D Corgis at French Connection (no photo, sorry). 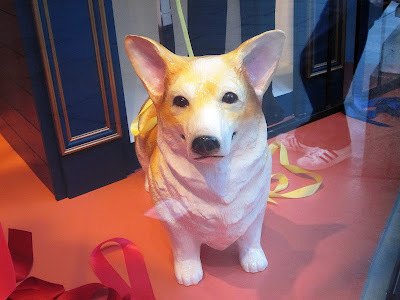 Finally, if you’re up for all this Jubilee frenzy but prefer clothes over Corgis, I suggest you treat yourself to some Lowie this weekend and/or up until the 5th of June. One of my favourite brands (which I first talked about here), Lowie are offering 15% discount to Brit lovers – actually, no patriotism necessary, all you need to do is use the discount code JUBILEE at checkout to enjoy some very British and very lovely pieces. 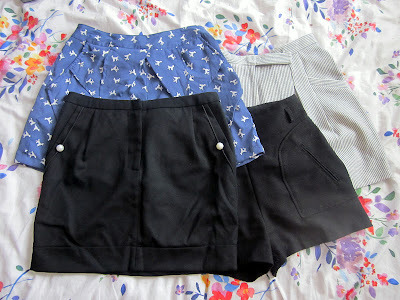 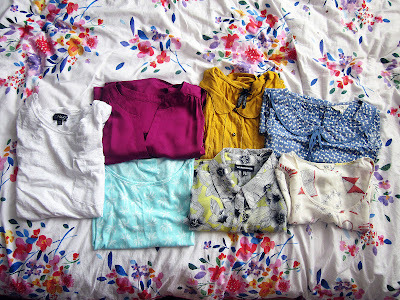 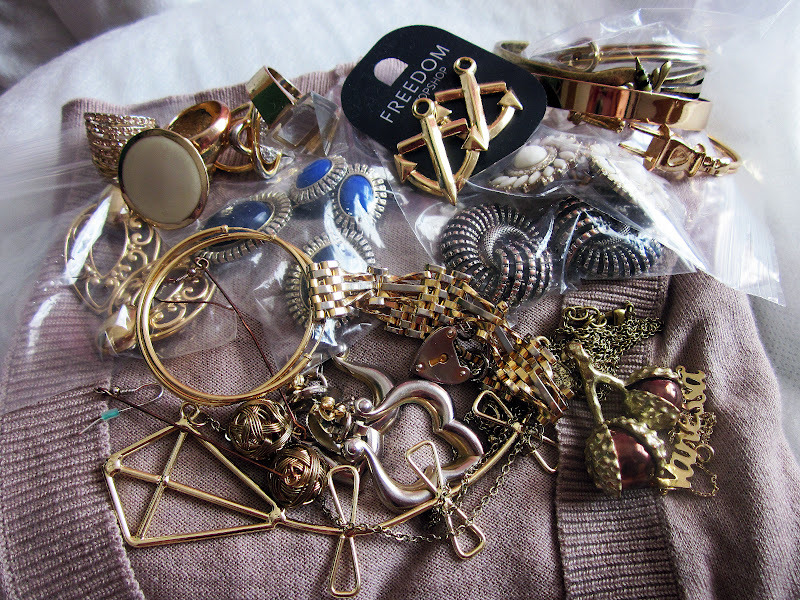 Here are some of my Lowie bits (and the collection might just have to grow a little more…). 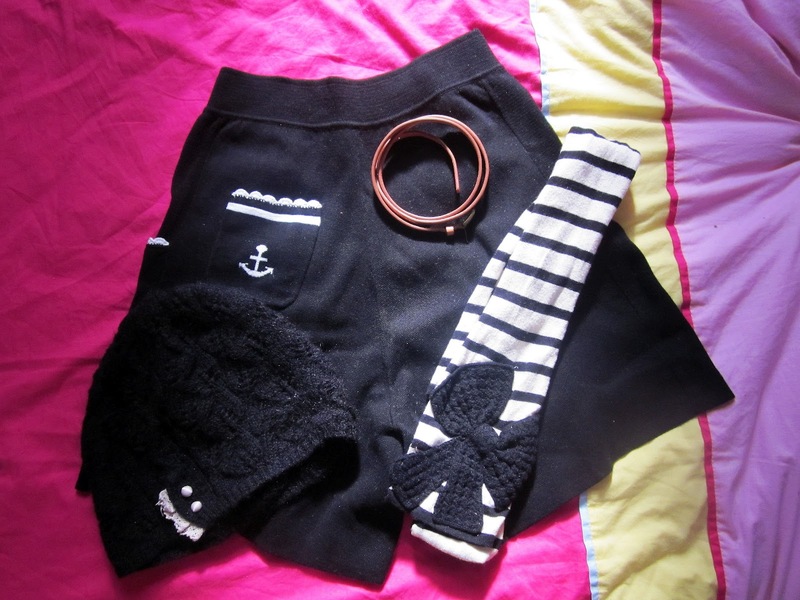 Black knitted shorts, which I’m in love with mainly because of the adorable anchor-themed pocket on the back; brown leather belt, which is perfect because it goes with everything, black and white scarf with crochet bow, which makes me feel very chic every time I wear it; and black beanie hat, which I’ve probably worn every single day this past winter and has therefore been my saviour. 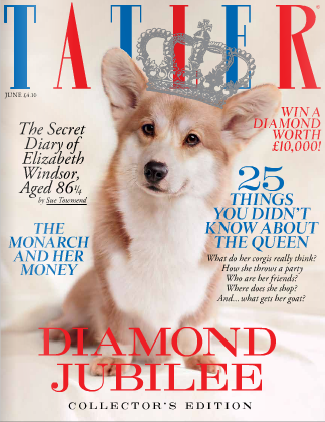 Sorry about the small image but no need to get your specs out as I’ve given you all the vital info – that’s all from me, I’m leaving the island and off to speak Spanish for a week. ¡Adios! 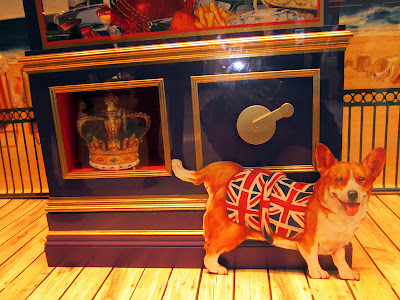 great post, im really excited about the jubilee, looking forward to a nice family bbq and hopefully the weather stays decent! iv just started a blog and would love if you checked it out and gave some feedback!